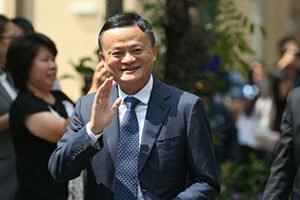 Legendary Chinese executive Jack Ma announced he was stepping down as the executive chair of Alibaba Group Holding Ltd. (NASDAQ: BABA) in September. This left investors wondering what's next for Alibaba stock. Alibaba stock, already roiled this year by aggressive trade war tactics between the United States and China, fell 5% in the immediate aftermath of the announcement. That sent the shares to a record low for the year. However, this is no time to run from China's online retail juggernaut. Alibaba started as a small online shop in Hangzhou 19 years ago. It's now China's top online retailer. In its last fiscal year, profits hit $10.2 billion. BABA underwent an initial public offering in the United States in 2014. Since then, the Alibaba stock price has skyrocketed 73% because of its highly impressive sales increases and its market dominance in China. Ma guided the company through this explosive growth. But there's no reason to think that this growth will slow down without Ma. You see, Alibaba has been planning a transition in leadership for some time. According to The Wall Street Journal, Alibaba began planning a leadership change in 2013, when Ma transitioned from CEO to executive chair. During this transition, Alibaba veteran Daniel Zhang became the new CEO. As a result, Zhang has supervised Alibaba's staggering growth over the past several years as CEO. Spearheading the move to combine online retail with brick-and-mortar shopping, Zhang implemented BABA's outrageously successful Singles Day strategy. With Zhang replacing Ma as executive chair next year, the company is sending a clear signal that BABA will continue to follow its existing, highly successful strategy.